Teenage is one wonderful phase for you experiment being childish and act like an adult. You are one powerhouse of raw and wild energy. And Halloween is the time when you can let loose the reigned wild in you and that too with no regrets. 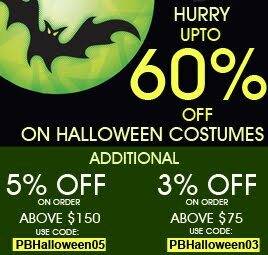 For the adventurous ones, who prefer a roaring and ferocious party, PartyBell brings you equally menacing and vicious Halloween costumes. We had known mummies only in legends until The Mummy movie series brought them to life. Imagine a limping corpse all covered in rotten bandages coming towards you… Scary like hell, isn’t it! The fictional character Durotan, the protagonist of Warcraft film series, is one ruthless and ferocious looking hero. The wildness in his persona is unparalleled. Be a hero, but unlike a regular handsome ones. Miss Reaper is here to steal your soul. This costume has tattered layers of black and purple fabric and a veil that only increases the spookiness of the costume. The long hooded cape, the skeletal printed glovelettes and tights and the waist chain make it one creepy costume. 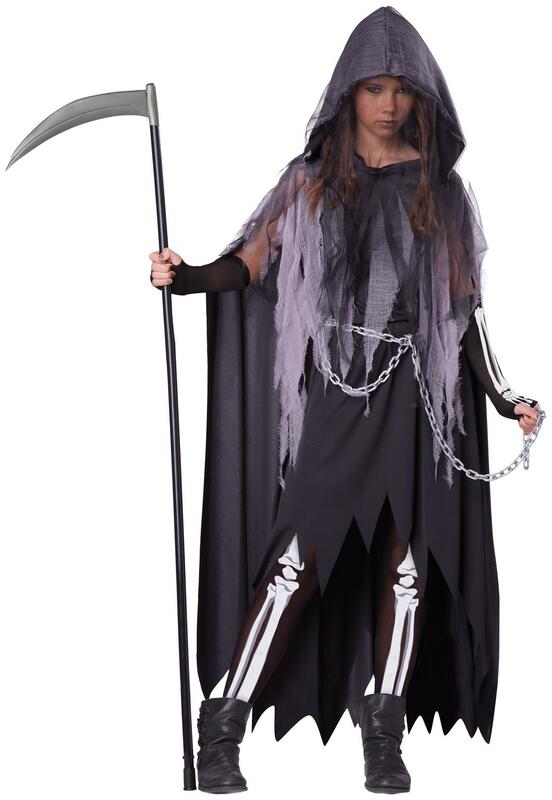 Add the scythe and scare the bejeebers out of everyone. Zombies are our favorite partner in crime. 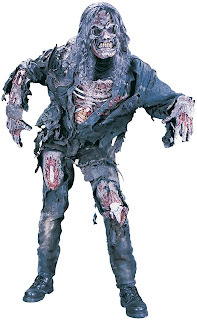 Turn yourself into walking dead zombie with this costume. The tattered dress makes you one dreaded creature. Add your ghoulie touch by playing around with the make up and blood. Gothic is a fashion statement for many around the world. Wearing strikingly bold lip-color, nail-paint and eyeliner are some of the things. The sense of eerie surrounds it as it is still a mystery for people. Give your own personal touch to this creepy mystery. Wear it with the wig and stockings to complete the look. Only if you can dare! 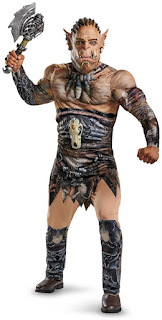 What is the scariest thing about this costume is torn muscles and bones are sewn in the fabric. You get the skull face mask, hair, gloves and stained teeth too. Do not forget to add your own personal touch using this cool make up kit. Let’s send shivers down their spine.